Christmas - the most shareable, pinnable, instagrammable time of the year. For bloggers and pretty much anyone in marketing, it basically takes up around three to four months of your life. There are a million articles and informative podcasts and youtube videos about how to make the best of the world's interest in crafts, baking and cheese at this time of year- with the ultimate aim of creating some content so awesome that it gets pinned a billion times and drives traffic to your blog for years to come. I did this - but I've struggled to capitalise on my creation for the last six years and now, I need to know whether it's time to just give up, and move on, or if there is something I can do to get the traffic that gets so interested in this DIY to come here, instead of the web address that's been attached to it since the beginning. I popped the DIY up on the blog and did the usual round of promotion, a post on twitter, Pinterest and on the Etsy forums. Instagram wasn't as huge a thing back then and I hadn't quite worked out how to best use it to promote my content. It's since been pinned 4,700+ times - linking back to the original post on my old blog. I have tried everything I can to capitalise on this creation in my new space, here at katyclouds.blogspot.com. I moved most of the content over to here when I migrated to the new username but because the original Pin linked to the old blogspot, traffic is still being driven there by Pinterest and it drives me INSANE. 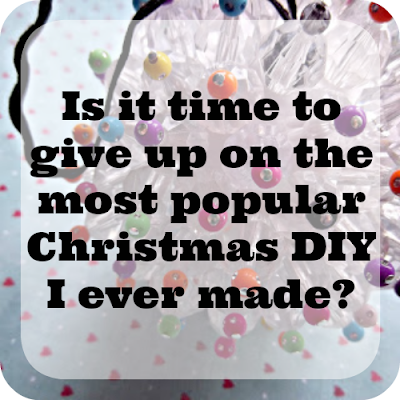 Hits on the old blog go up to around 3K a day as we get into prime Christmas crafting time, and the old article still gets shared regular as clockwork by all the major crafty DIY sites and blogs. It would basically be a dream come true for traffic and my profile in general - IF the traffic was going to the correct blog! I haven't updated the blog over at the old address for nearly 6 years - I don't want to use the username anymore, I want to use this username and keep the content here. 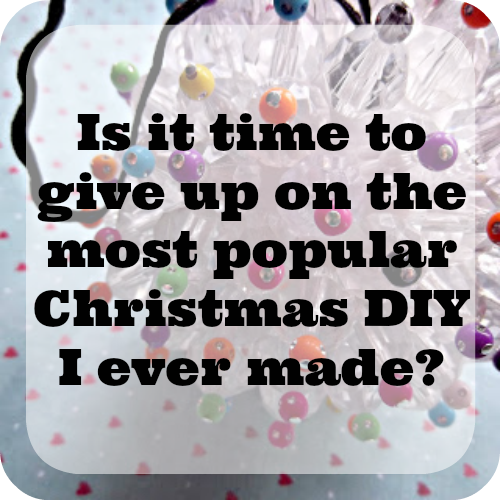 I want traffic to come here, driven by the awesome DIY I made 6 years ago and all the other Christmas, crafting and digital marketing / social media help I've posted over the years. Set up an automatic divert on my old blog - with a large image that should have just enough time to load before the viewer is diverted. I think I still lose about 50% of traffic as they lose interest (or panic because scammers) - although towards Christmas hits on this blog do go up with the majority of traffic coming from the original blog. Written this post in an attempt to find a final solution - or give up and accept that I can't make the most of the interest in this DIY on a new blog. I can't change the link on the original Pin, and besides, it's too late. Perhaps I have no choice but to watch in resigned pride as the hit count on my old blog goes through the roof every Christmas and accept the fact that I cannot get that traffic here. Or perhaps, someone out there knows the answer. Perhaps someone has helped a business or individual solve a similar issue and wants to share with me the secret to diverting traffic from one ridiculously popular source to another. I have lots of DIY content here for people to enjoy. 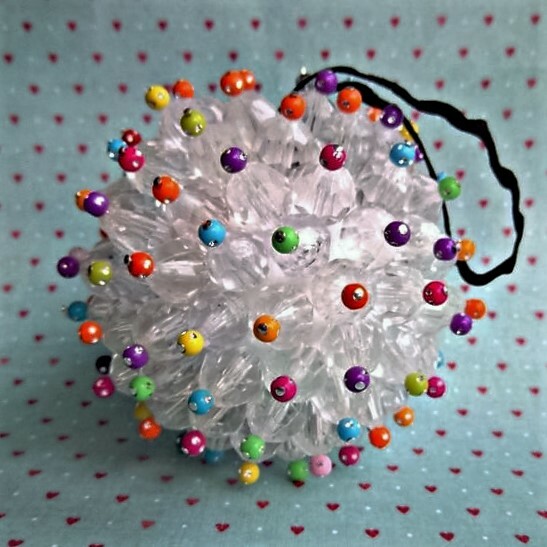 I have the full DIY for the Christmas bauble. Which, by the way, fell apart after two days because I didn't use strong enough glue and no longer exists - in case you thought I got it out every year and cried over it, weeping for my lost traffic. I'm only saying this because I would definitely do that if it hasn't have been such a shoddy DIY in the first place.